The one-stop zone for your A to Z lifestyle shopping is in town. Yes, it is bigger and better than last year and it is indeed a treat to one’s eyes. The tag line “Creative expressions to captivate your mind” reflects the idea of a dazzling and jazzy exhibition in one line. From minimalistic jewellery to the chunky furniture, the fair looks quite promising for all your home décor requirements. If you have out-of-the box ideas they have got out-of-wood furnishings. The biggies of the business are all laid out for you. Your definition of wooden furniture will undergo a sea change because every piece of wood has been carved with the intricate detailing in its design and idea. The resplendent colors and design come together to create a masterpiece priced aptly to suit your pockets. The range of furniture has both contemporary and ethnic items for the stylish homes. There are chairs, chests, beds, tables, counter’s, corner’s, wall mirrors etc, in unique designs to choose from. If you have always believed that the lighting in a home can be a turn-on factor, then FORHEX Fair is just the place. There are broad options lined up for the buyers. These beautiful lamps can accentuate every corner of one’s house. If you particularly want to go for the lamps that are way beyond the reach of your mischievous children then need not worry, these hanging lamps will not disappoint you. The collection of wall clocks can leave you spell bound, if you’re an avid collector of ethnic clocks. They are available in all sizes and shapes. The other accessories include handicraft items to go with all kinds of interiors. Diamonds are a women’s best friend and so are the beads. The well woven and multi colored beads are a must have for every woman reading this. Beads can go with almost any attire be it western or traditional. Textiles can define the styling quotient of your homes, so the fabrics haven’t been ignored either. 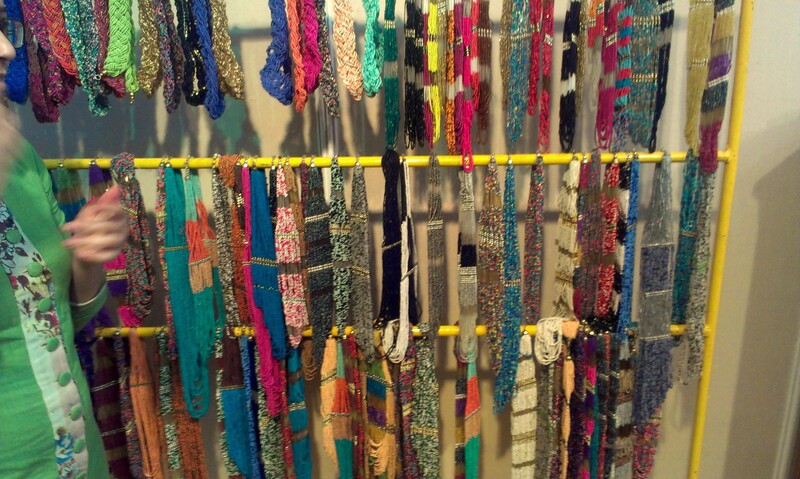 The colors, patterns and the designs of the fabrics are surely enticing for a home maker, here at the FORHEX Fair. With a vast spectrum of options available you might just end up shopping for your entire household! The NGO’s like Umang and Oorja are doing their bit, by displaying some really useful stuff for you to buy and you just walk out of the stall smiling seeing the cute faces of the children who’ve crafted all this for you. After all the shopping or in the middle if you feel the hunger pangs, then expect lots of mouth watering food stalls for your palate, which completes your extravagant shopping experience. The exhibition concludes itself today and the jaipurites who haven’t yet made up their minds should just pick up their bags and rush to Birla Auditorium as they can’t afford to miss the celebration of creative expressions. The whole journey through the fair is worth a try for all the visitors who love to explore the world of ideas and creativity. It will be the most delightful experience for all the jaipurites.